Proposed toll road extensions through San Clemente and San Juan Capistrano are likely to negatively impact some nearby schools, the Capistrano Unified School District’s (CUSD) special counsel told its Board of Trustees on Thursday, Jan. 24. Dozens of concerned parents attended the meeting at CUSD headquarters, where special counsel Stan Barankiewicz outlined how the Transportation Corridor Agency’s proposed options to extend the 241 Toll Road through South Orange County could potentially disrupt operations at Esencia Elementary School and the San Juan Hills, Tesoro, and San Clemente High Schools. 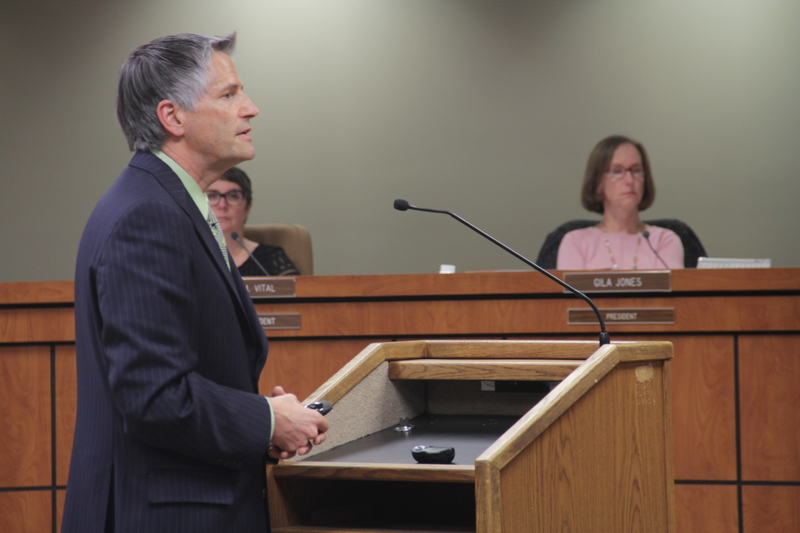 Construction of the proposed extensions, Barankiewicz said, could create dust and noise while prompting lane closures and traffic congestion near the schools. And if completed, he noted, the new extension could put toxic pollutants in the air from the vehicles, as well as create traffic noise. “You can also have the traffic impact from not having a free road to serve the communities and these schools, because now the only way for students and parents to get to and from schools without going in an extremely long and circuitous route is to be held hostage and take the toll road,” he said. Three of the TCA options—Alternatives 13, 14 and 17—propose connecting the 241 from Oso Parkway to the I-5 Freeway, according to the toll road agency’s South Orange County Traffic Relief Effort. Alternative 13 would connect the 241 to the I-5 via La Novia Avenue in San Juan Capistrano. Alternatives 14 and 17 would have the 241 connect in San Clemente, down by Avenida Pico and near Avenida Vaquero, respectively. The fourth proposal, Alternative 21, comprises two separate roadway segments, with the first one extending Los Patrones Parkway from Cow Camp Road to Avenida La Pata. “The second segment would provide a median-to-median, high-occupancy toll (HOT) lane connector from SR 73 to I-5,” the Relief Effort report states. Barankiewicz said the extended toll road would benefit shipping companies that would eventually use the I-5 connection to haul goods from Riverside and San Bernardino Counties, which have “extensive transportation distribution centers.” Barankiewicz continued to criticize the TCA for not adequately presenting its information on the toll road extension plans, such as what land it needs to acquire for the project. Part of the Traffic Relief Effort includes the current construction of the Oso Parkway Bridge and the Los Patrones Parkway through Rancho Mission Viejo. The first phase of the Patrones Parkway was completed in September. The parkway picks up where the 241 currently ends, running from Oso Parkway to Chiquita Canyon Drive. The Oso Parkway Bridge Project, which is scheduled to be completed in 2020, is being built over Los Patrones Parkway so vehicles can have direct access to the 241 from Los Patrones. CUSD Board of Trustees President Gila Jones said TCA got away with having the bridge constructed without a new Environmental Impact Report (EIR) and asked Barankiewicz if that will continue to be the case with future projects related to the toll road extension. “It’s a possibility,” Barankiewicz said, further stating that TCA has moved projects forward previously by including them as addendums to existing EIRs, such as the ones for the master-planned Rancho Mission Viejo community. According to OC Public Works, the addendum to include the Oso Parkway Bridge Project to the Ranch Plan EIRs was approved administratively in June 2016. Noting that approval, Barankiewicz told the trustees he believes TCA, the county and the California Department of Transportation have been working together to ram the toll road project through. Barankiewicz said the three agencies began “conspiring” together after a coalition of environmental groups challenged the TCA’s previously proposed project known as the State Route 241 Foothill-South Toll and Tesoro Extension. 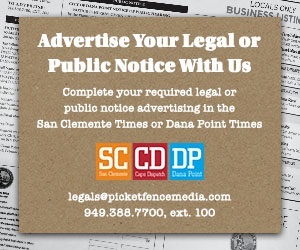 In November 2016, the TCA and the environmental groups reached a settlement, ending the 15-year legal battle and agreeing to protect San Onofre State Beach, the Richard and Donna O’Neill Conservancy and San Mateo Creek watershed. As examples, Barankiewicz pointed to the Los Patrones Parkway, noting that it now aligns exactly with where the 241 is planned to be extended. That parkway, he said, was supposed to be a separate free road. According to Barankiewicz, the public will have some opportunities to weigh in on the TCA’s proposals. The first will be when the TCA issues its Notice of Preparation for the extension project’s EIR. The Notice, a scoping document in which the public can help guide the TCA on what needs to be evaluated, is expected to come out this month. The TCA is then expected to release the draft of the EIR within the first quarter of the year, Barankiewicz said. By January 2022, the TCA is looking to certify the EIR and have one of the proposed Alternatives approved. Construction would begin in July 2024 and be completed by 2027.